This highly respected book is a simple, readable guide to the accurate identification and interpretation of abnormal electrocardiogram (ECG) patterns for medical students, nurses and junior doctors. The emphasis throughout is on the straightforward practical application of the ECG. 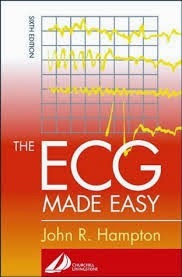 It will prove useful to all medical and health care staff who require clear, basic knowledge about the ECG.